Full 3¼” Depth Welded Mainframe with beveled colonial exterior features curves that are not only beautiful but also allow for maximum weld surface resulting in strength and years of long-lasting performance. 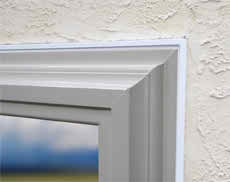 Available in Replacement and New Construction applications. 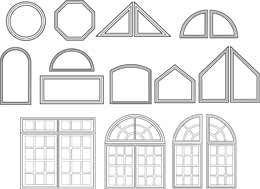 The Picture window comes in a variety of shapes and combinations allowing for endless design ideas. Full 3¼” Depth Welded Mainframe with beveled colonial exterior features curves that are not only beautiful but also allow for maximum weld surface resulting in strength and years of long-lasting performance. 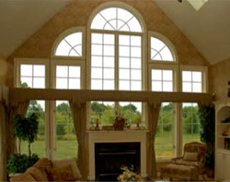 Picture windows provide excellent protection against wind and rain. 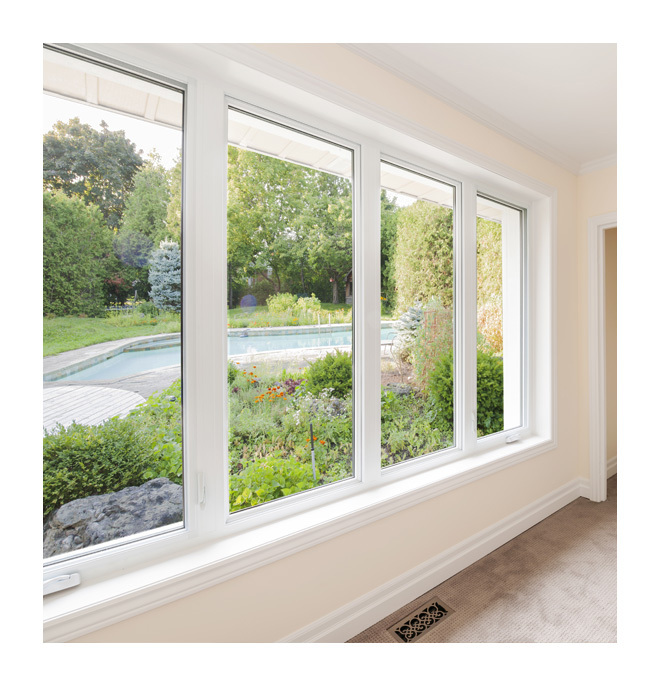 Our picture window frames feature a high level of draft prevention and can help lower heating and cooling costs more than any other type of window.